The Malczewski Butter Lamb, or Baranek wielkanocny in Polish, is a traditional Easter symbol. 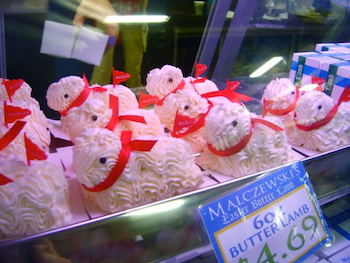 Started in Buffalo, decades ago by Ma Malczewski in the Broadway Market, The Butter Lamb symbolizes the sacrifice of the Lamb of God in the Eucharist. 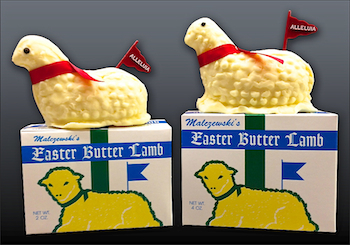 The Malczewski Butter Lamb comes in many shapes and sizes, with a red "alleluia" flag signifying peace on earth, and a red ribbon representing the Blood of Christ. 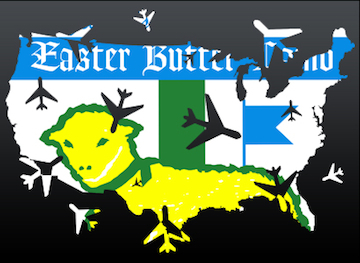 You can find this iconic Buffalo tradition at many of your local food stores and the Broadway Market during the Easter Season. 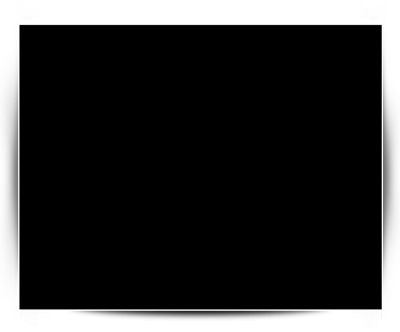 Ship to anywhere in the US! For more info visit www.buffalofoods.com!